Jan Williamson is a professional artist who specialises in portraiture and figurative work, with Australian and International commissions. As one of Australia’s premier artists, Jan’s work portrays people and intimate studies of children playing on the beach, or engrossed in their own world, oblivious to the influences around them. Her portraits have been selected as finalists in all the major Australian Exhibitions. A finalist many times in the Archibald, Salon de Refuses, Moran, Shirley Hannan and Portia Geach Portrait Awards, and winning both the Archibald Packer’s Prize and Peoples’ Choice twice. Jan has also travelled to the Northern Territory to paint the indigenous artists and children from Utopia. 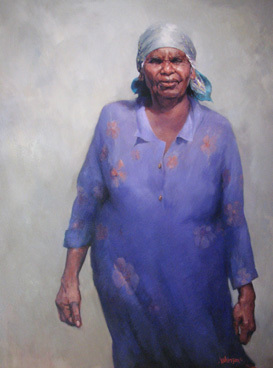 She is also a foundation member of Portrait Artists Australia.